Overnight Oats - simply & healthy vegan recipes that taste amazing! 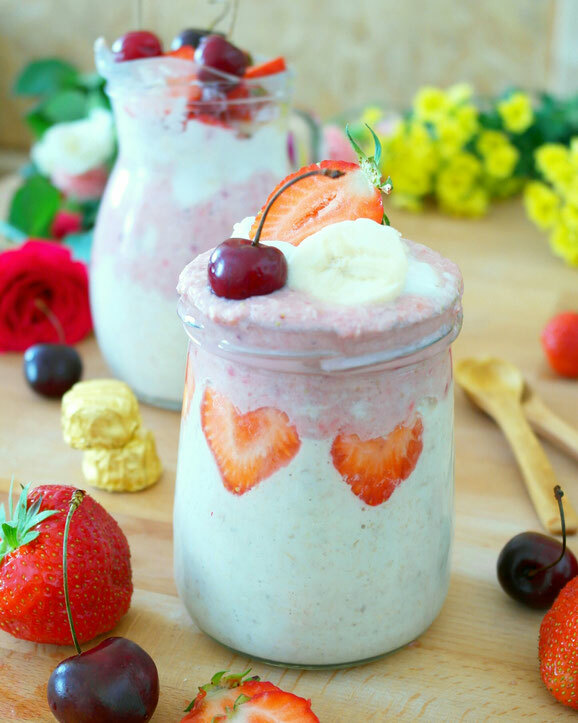 Wonderful coconut overnight oats with berries and vanilla. Perfect for hot days during the summer time orfor cosy winter days. You can have this in the morning or take with you to work. Love this combination. Try it out! Healthy and sweet breakfast for hot summer days. 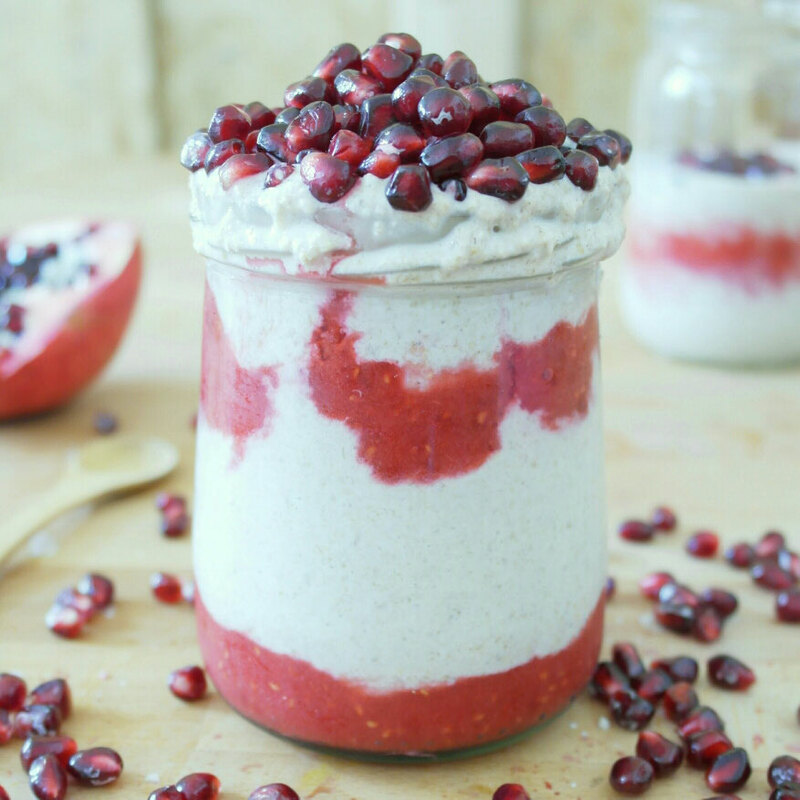 Have you never tried overnight oats? Than its time! Here is my basic and easy recipe for you. Enjoy it! Whisk together all ingredients behaf the the raspberries. Spoon into a ja with a tightfitting lid. Close and keep cold overnight. 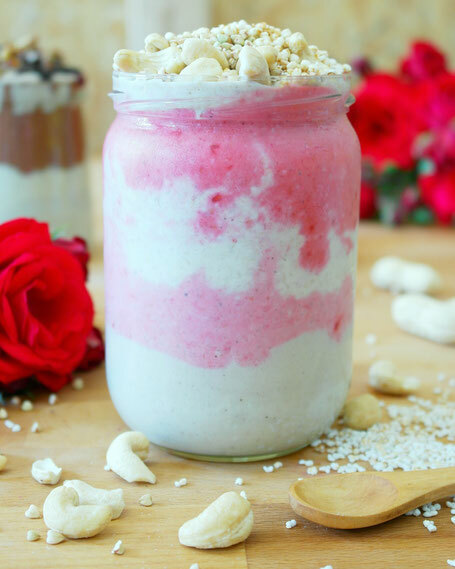 In the morning you can blend it quick with the raspberries and than enjoy it!